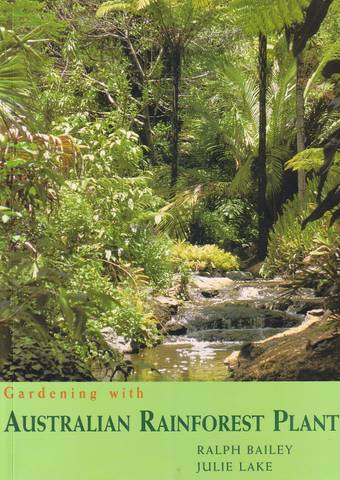 Gardening with Australian Rainforest Plants by Ralph Bailey & Julie Lake This informative book tells you how you can turn your garden into a cool, green, self-contained world, a haven for birdlife and tranquil retreat for busy people. Includes designs & plant lists and 100 favourite plants described, many of which are available in Californian nurseries. Over 130 color photographs.